Only a handful of designers managed to transform and make fur fun and interesting. 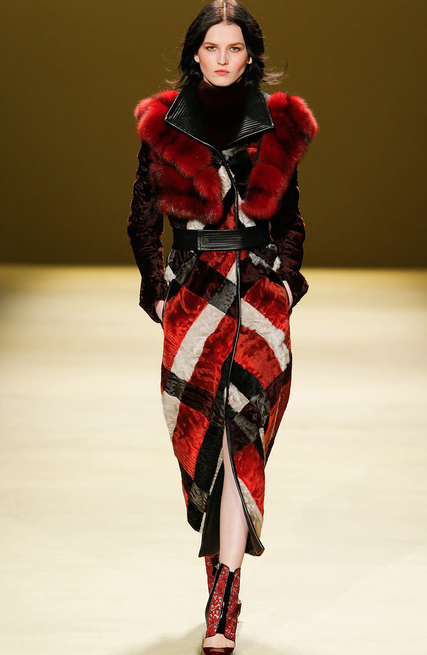 Marc Jacobs, Brandon Sun, Altuzarra, Prabal Gurung, J. Mendel, Dennis Basso, and Carolina Herrera took fur to the next level. Amongst all of these designers, Joseph Altuzarra’s design caught my attention. 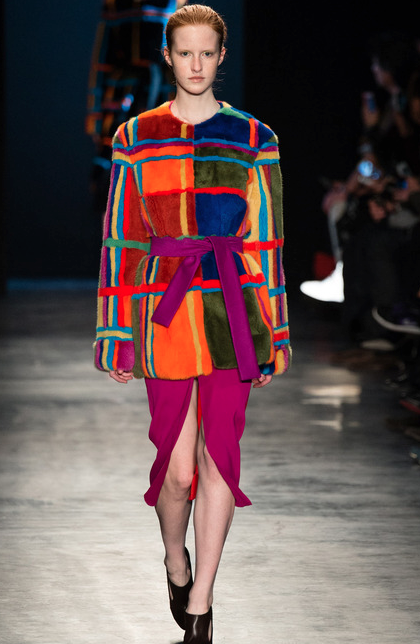 I love all the vibrant colors he used for Fall/Winter. The strips of minks in vibrant colors remind me of an uneven windowpane pattern. If I was a woman and I had the money to purchase this coat, I will be the first one to buy it. On the other hand, Marc Jacobs silver fox bomber jacket depicts the different colors of the clouds when the sun is about to set. I love how he dyed the fur. These designers know how to make fur fresh and new every season.